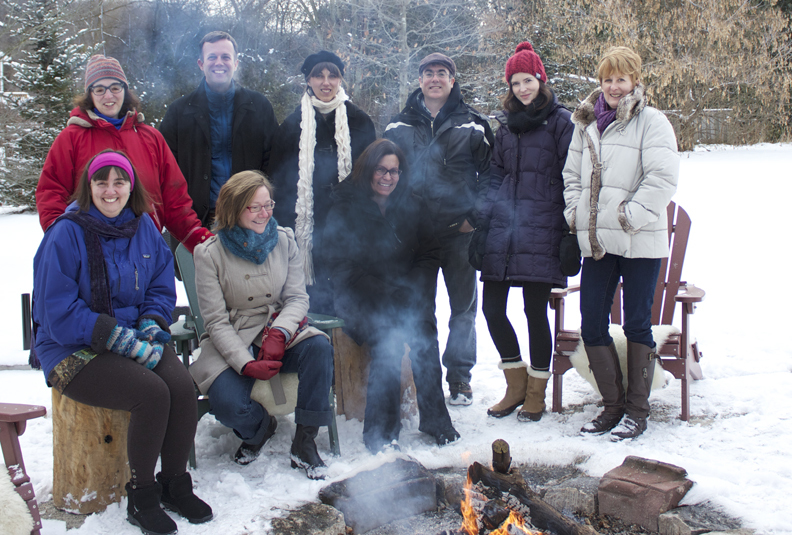 Members of the EHHPP team on a full-day retreat at THiNKSPOT in Lowville, Ontario in December 2013. Frobit row (left to right): Laurie Elit, Sonya de Laat, Carrie Bernard. Back row (left to right): Lisa Schwartz, Matthew Hunt, Elysée Nouvet, John Pringle, Leigh-Anne Gillespie and Nancy Johnson. Absent: Lynda Redwood-Campbell. Learn more about the EHHPP study. Next Entry:‘Choose what moves you’: Checkered Landscapes of Care (Un)checked by Red Cross Campaign?